Now, I’ve committed some blogger’s sins around here. I’ve been updating this space in the past weeks with things all from my trip — back in November. Seriously, Emily, catch up! But, coming back home to Hong Kong for a couple months had its unexpected chaos. However, all this behind-the-scene busyness shall be revealed in the next couple of posts! Sabrine did a great post about Paris’ places to eat a couple weeks ago, and since then I wanted to make my own Hong Kong edition for it! I have become a self-proclaimed “foodie” over my months in Hong Kong, as this city’s multiculturalism attracts a lot of innovative and never-tried-before flavors. It reminds me a lot of New York City in that way. I wrote up some recommendations earlier last summer in this blog post, czech ’em out if you’re interested! One of the priciest places to grab food in Hong Kong, but a lot of good Western grub here as well. 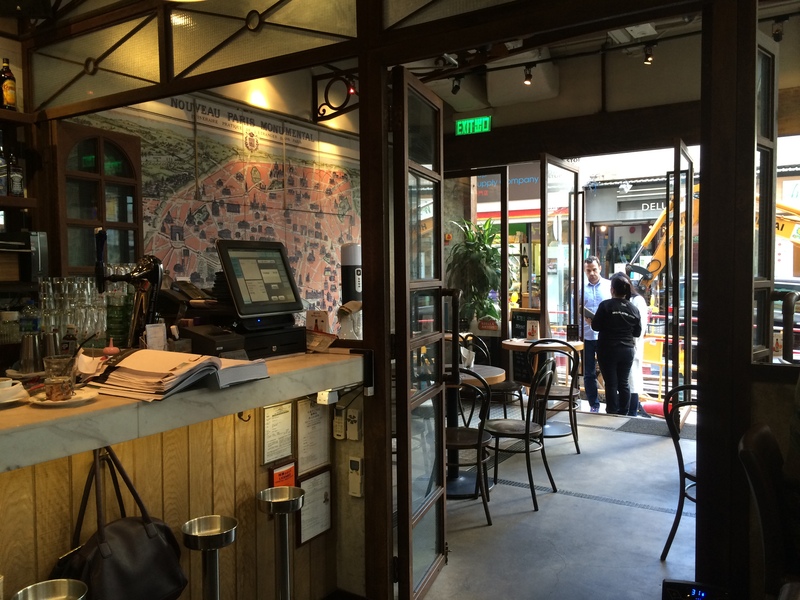 SoHo and the Lan Kwai Fong area are particularly good to get some international tastes! Hong Kong has been catching onto the healthy food wave, and this has been my favorite one I’ve tried so far. I loved the Joy Signature Flat, but there are other tempting options on the board. My favorite Spanish restaurant I’ve tried. My parents went to Spain for the first time when I was in the South Pacific, and have been on a Spanish food kick ever since. But, not complaining. The potato salad and paella are scrumptious! Must-eat in Hong Kong. Oh so affordable, and oh so good. Eating the BBQ pork buns is an experience. The staples of haa gao and siu mai are yummy, and EVERYTHING is delicious. One of the most popular coffee chains in Hong Kong. I tried their affogato (espresso and ice cream), which was amazing. And, the blue vanilla gelato, which was amazing. It tastes just like one of my favorite ice cream bars, the Rainbow Paddle Pop, only available in Australia. Gordon Ramsay has unleashed his hell in Hong Kong. Hell as in the delicious indulgence of his British comfort food! The quinoa salad is perfect, Ramsay’s burgers are fantastico, and the Eton Mess and Sticky Toffee Pudding are decadent. However, I was disappointed by the shepherd’s pie. But, it’s because I can’t get my mind off of my one true love: Deerfield’s shepherd’s pie. The new “hip, cool, young, fresh, wassup” neighborhood of Hong Kong. This place has a lot of cute unique cafes and TONS of healthy eats. Nice try, local farmer, but your disguise doesn’t fool me. However, your short ribs did fool me into eating a little more than I can handle. I mean…it’s all organic, right? This French bistro has a delightful set lunch. I really loved the spinach and potato quiche and salmon. Also, the best cafe decor I’ve seen in Hong Kong so far. Part underground metro design, part sidewalk bistro. I have a love/hate relationship with Wan Chai. I love it because it’s smack dab in the middle of where I go to in the city. But, I hate it because it’s a HUGE neighborhood. It would take me a half hour to walk the length of it, and in Hong Kong, ain’t nobody got time for that. So, this place is still in it’s exploration stages. But, nevertheless, I do have one place I love! 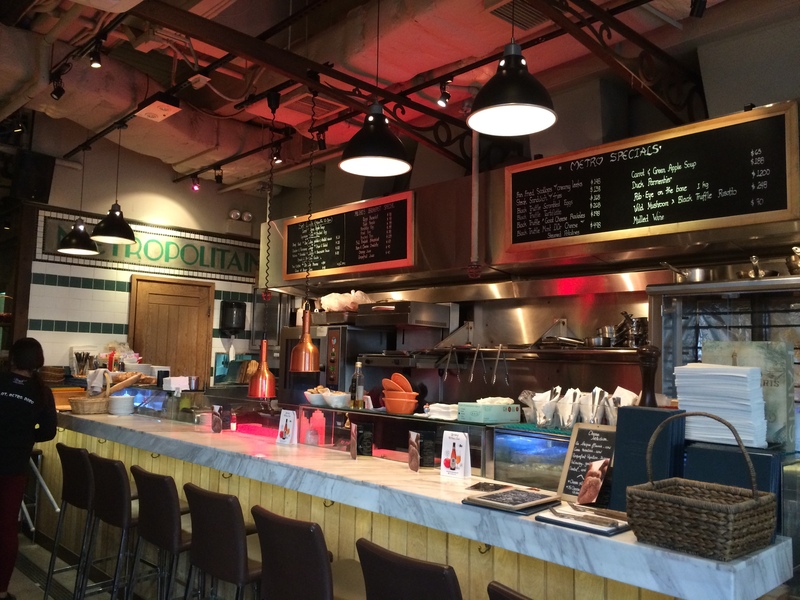 A great place to snag some good Malaysian and Singaporean. I adore Hainan chicken rice, and my favorite place in CWB (below) closed. Let’s just say angry Emily came out for a couple of seconds. But, Asian Twist does a very good version of the dish too, so angry Emily receded. Awesome laksa as well! My family and I love this neighborhood, because it’s not too pricey unlike Central, and rather convenient. Downside: everyone else feels that way too. Enter swarming swaths of crowds in the roads! Hong Kong loves Ramen. It’s a phenomenon, a craze, a plague if you will. But, this is definitely my favorite one that I’ve tried. Ichiran is a very different sort of restaurant. You order your preference for ramen (broth, flavor, garlic, etc.) and then you sit in a cubicle with a curtain in the front. Then, after a waiter delivers the ramen to your cubicle through the curtain, they shut the curtain so you have your privacy to eat. Good for introverts! A great place to explore. It definitely has an old Hong Kong neighborhood feel, since there are minimal high rise buildings and many old shops still operating. Quite a gem amidst the fast-paced sleekness of other Hong Kong areas! The tofu beancurd jelly (dou fu fa) is awesome. You can dump a ton of sugary sweetness to make it dessert, or none to have a nice snack! Cheryl brought me here in the summer, and I really loved my squid omelette with rice inside! Like a warm pocket of goodness. Delicioso Chinese classics. Bo ze fan (clay pot rice) and roast duck are my recommendations! The most famous chain cha chaa teng (Hong Kong fast food). The condensed milk buns and milk tea are classic Hong Kong indulgences! Two words: Egg Tarts. My childhood weakness, I go back to those days every time I eat one. Same deal as the egg tarts, I always had one of these in hand after my piano lessons. LKK makes the best ones! They originated in North Point, but now have a stand next to the Wan Chai Computer Centre. Don’t know if you can tell by now, but I have a sweet tooth (also evidenced by my numerous cavities back in middle school). Beard Papa cream puffs always brought a smile to my face both when I was younger and now! The best place to get all the Hong Kong sweets. Having Yeung Zee Gum Lo (mango, sago, pomelo) is an experience I always put on my to-do list whenever I come home. The zi ma wu (sesame soup) and taro sweets are very good as well. I’ve unearthed TONS of great music in the past two months, but here is one song that I love. I watched the movie Begin Again (a surprisingly good movie, must watch if you’ve been meaning to!) on the way home from Sydney back in November, and have been enchanted by this song since.